If you've ever searched for a Manhattan apartment (on a budget) and found yourself scrolling through listings on Roosevelt Island — it's a classic broker trick, listing Roosevelt Island apartments under the "Upper East Side" since it's just across the East River— you may have wondered whether you could actually live in this relatively inexpensive, and somewhat mysterious, part of the city. The answer: Yes, you probably can, and many already do. This year marks 40 years that people have been calling this weird, wonderful, and totally unique "sliver in the East River" home. (It's been 38 and counting for this writer). Suzanne Wolf, a Corcoran broker and Roosevelt Island resident whom I spoke with has been selling apartments here since 2011. “I’ve always been struck by the pool of buyers coming to see apartments on Roosevelt Island; most are already residents, currently living in one of the rental buildings,” she says. Many have already learned to appreciate "the quiet, the slower pace of the neighborhood, open sky, and water views in all directions." The quick commute and relative quiet is a selling point, too, she says. All Island apartments, both new and old, have two things going for them: generous square footage and postcard views, many of the East River. Plus, all of the buildings, save one, are perk-heavy, with fitness centers and concierges. All have laundry, some in-unit. Two have indoor pools; two, outdoor pools. I, for one, was three months old when my pioneering parents moved to the Island in 1977. They were seeking a quiet place to raise a family. My mom needed a quick commute to LaGuardia Airport and my father worked in midtown. They bought a 1,360-square- foot two-bedroom apartment with a terrace in the Rivercross co-op—at the time, part of the Mitchell-Lama program—for the bargain price of $18,000. My parents still live on Roosevelt Island, as do many of the other "Island Pioneers." (Yes, that’s what they call themselves.) But after a period of some stagnation—as the first generation of kids grew up and left—the Island has experienced a renaissance of sorts in the last decade. And even bigger changes are coming. Between 2000 and 2010, there was (and continues to be) a building boom, with the number of housing units increasing by over 50 percent. And those units primarily filled up with two types of residents: adults between the ages of 25 and 34 (a 91 percent increase), and kids under 5 (a 38 percent jump). The stroller brigade that has followed has been a catalyst for the Island’s revitalization. "The Island is safe, green, diverse, and offers a lot of activities for children," says Eva Bosbach, coordinator of the Roosevelt Island Parents’ Network (which is 450 families strong). While the Island is getting younger, it is also getting wealthier. Most of the new housing has been market rate, a significant change for a community founded on the principle of affordability. Prices run the gamut on the Island, but are usually less than Manhattan. In any case, you'll likely get more square footage. You can get a two-bedroom, two-bath with outdoor space for $3,150/month in Roosevelt Landings. 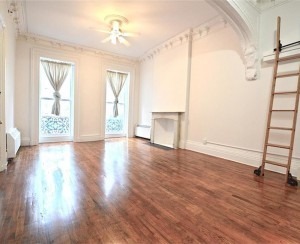 This Manhattan Park two-bedroom, two-bath is listed at $2,900. 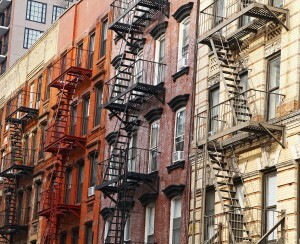 (The median price for a similar apartment in Manhattan is $4,472) . On the sales side, a high-floor 1,775-square-foot three-bedroom/three-bath with an eat-in-kitchen in the Rivercross building—the Island’s only co-op—will set you back $1.495 million; a two-bedroom, two-bath in the same building is available for $1.2 million. My father, one of those few native New Yorkers, moved here concerned that he wouldn’t be able to get decent bagels or the New York Times. And he was right, at least about the bagels. The Island has never been a culinary destination. Despite the jaw-dropping views and five New York City landmarks, amenities were hard to come by in the beginning, and have only recently begun to improve. FreshDirect delivers here, as does Peapod. There is a free shuttle to Associated over the bridge in Queens and it’s a short walk to Trade Fair, also in Queens. There is a Whole Foods near the tram on the Manhattan side as well as a Food Emporium. Instacart comes here but for now they’re only delivering from Costco and KeyFood. With so much outdoor, riverfront green space, we are a picnic people. As soon as it’s bearable outside, you see blankets and lounge chairs. There are free, first-come, first-serve barbecues lining the river on both sides that are always in use in nice weather. Roosevelt Island is technically owned by the city. But in 1969, New York state's Urban Development Corporation (UDC) leased the Island for a term of 99-years to develop and operate the Island as a residential community. While politically a part of New York county and Manhattan, the Island’s city elected officials do not make the nuts-and-bolts decisions for this community that is their responsibility in the rest of New York City. Local policing, housing, transportation, shopping, street cleaning and repair, garbage collection, parks and recreation are all carried out by the Roosevelt Island Operating Corporation (RIOC), whose president and board of directors are appointed by the governor. And we don’t get to vote for the folks that make these decisions about our community. But we do get to pay New York City taxes. The Roosevelt Island tram takes less than five minutes to the Upper East Side. There’s the tram, of course. 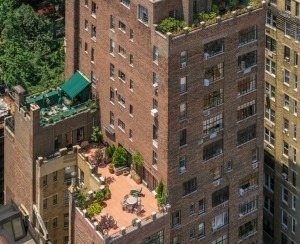 By tram it is four minutes to 59th street and Second Avenue. If you don’t mind the tourists, it is the best way travel on and off the Island and takes Metrocards. And we have the subway —the F line runs to the Island. The tram and subway are located near each other, south of the Riverwalk buildings. There is also a free red bus that circles the Island according to the tram schedule, every 15 minutes, or more during rush hour. A bridge connects the Island with Long Island City, Queens. From there it is an easy drive to the Ed Koch Queensboro Bridge into Manhattan, the Pulaski into Brooklyn or the Triboro Bridge to upper Manhattan and the Bronx. LaGuardia Airport is less than 10 minutes away by car. Oh, did I mention cars? You can have one here. Street parking is limited; it costs $.50 per 40 minutes and you have to feed the meter every 40 minutes. There is long-term parking on the north end of the Island, but tickets for parking violations are steep and finding a spot can be difficult. We often find it's easier to park in the garage and take the red bus to wherever you want to go, or better yet walk and check out the cherry blossoms. The parking garage costs $226/month for a reserved spot and prices go down from there (a relative bargain in NYC). Many residents keep a car there for Costco trips although some opt to park for free over the bridge in Queens. It took 20 years to get subway service, so we take transportation plans with a grain of salt, but ferry service is slated for 2017. Transportation is always an issue on Roosevelt Island, especially as the population increases. Long-time residents remember a pedestrian elevator from the Queensboro Bridge to the Island (and a car elevator before that), and residents want it back. But what’s better than taking the tram to work? The whole thing was refurbished recently. The Island’s community newspaper, the Main Street WIRE was actually started in 1981 because of a tram outage, as a mechanism to inform residents. Roosevelt Island is located in the borough of Manhattan. The fifth council district covers the Upper East Side and Roosevelt Island and we are part of the 76th Assembly District also with the Upper East Side. Our local public school, PS/IS217 is in Manhattan’s District 2 (note: there's no public high school on the Island). But logistics prevail sometimes. If the police need to come, they’re coming from the 114th precinct in Queens. As for local police, there isn’t any; we have a Public Safety Department. It’s fitting because Roosevelt Island operates more like a small town than part of Manhattan —one of the reasons people like living here. “This is the closest I’ve ever gotten to living in a small town and I adore it," Katz told me, echoing the thoughts of many Island residents. He'd get into six arguments on the way to the subway when he was Resident Association president, he says. Like a small town, there is a strong sense of community. That means a lot of collaboration and support of Island groups, Island pride and articulated, specific Island interests and concerns. Most recently, Islanders celebrated a big win — first place in Councilmember Kallos’ Participatory Budget contest. The prize was $500,000 toward a green roof for our public school. “This is way bigger than the green roof; the story is the strength of the Island voice," Islander Christina Delfico, founder of IDig2Learn, told me. The Island has always had a significant international population. Even former U.N. Secretary General Kofi Annan used to live here. The United Nations still hands out brochures for the buildings on the Island to their stateside diplomats and translators and they helped populate the Island the first time around. New York Presbyterian/ Weill-Cornell Hospital and Memorial Sloan Kettering Cancer Center have dedicated housing on the Island for their international scientists and doctors. Growing up here, it seemed that everyone was from somewhere else. As a group, native New Yorkers moving to Roosevelt Island were definitely in the minority. That is still the case. The local public school reflects this diversity. "Ninety-six countries are represented at the school. All the flags we have hanging up [in the first-floor corridor] represent the countries the students come from," explains PTA co-President Natalia Starkova. The biggest change facing the community is the building of CornellTech’s campus on the southern end of the Island. When fully complete, the campus will span 12 acres and house approximately 2000 students and hundreds of faculty and staff. On the whole, Islanders are ambivalent about Cornell’s move here. We stand firm on trying to protect our community from construction fumes and diesel trucks. Members of the Roosevelt Island Community Coalition (RICC) — which represents 36 Island organizations — have testified at various levels of City government, and achieved levels of barging of demolition and construction materials heretofore unknown, limiting the number of diesel trucks on Main Street. Open questions regarding Cornell still remain, in regards to how Cornell can help enhance the community, its services and organizations, financially and otherwise, Katz told me. Though the impact on the Island remains unknown, the CornellTech campus is an impressive undertaking. Envisioned as the epicenter of former mayor Michael Bloomberg’s vision of New York’s technology research future, the first buildings (one of which was designed to be among the largest net-zero energy buildings in the United States, with all of its power generated on campus) will open in 2017. Our school is open to District 2 (Manhattan) parents, and there's a Gifted & Talented program that starts in Kindergarten and is open to both District 2 and District 30 (Queens) children who qualify. It is a beautiful, riverfront facility and has an active PTA. Per their lease with the city, CornellTech has agreed to adopt the school. What that means in practice is still being defined. , “There’s a lot about our campus that is really exciting. We are hoping to share as much of that with the students of Roosevelt Island as much as we can," Director of K-12 Education for CornellTech, Diane Levitt, tells me. 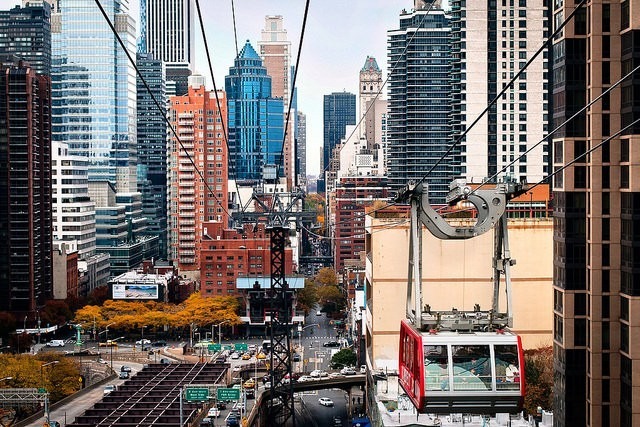 Would you brave the Roosevelt Island tram for low-priced luxury perks?